One of the pains of packing is arriving to your destination with a suitcase full of creased clothing. 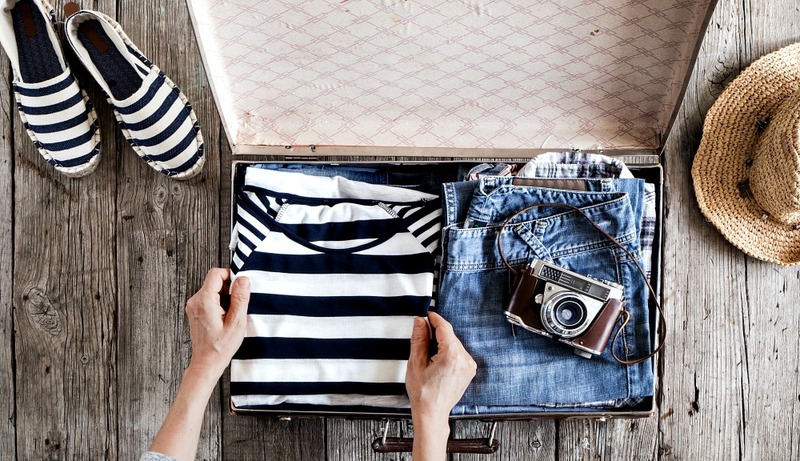 Before you pack for your next trip, find out how to pack clothes without wrinkles with these nine helpful tips! There’s nothing more irritating than fussing with a hotel room’s ironing board, not to mention the possibility of burning or staining your clothes. 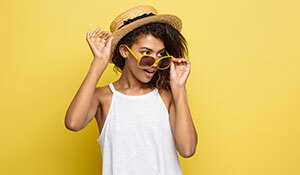 If it’s time to head out on your next vacation or you’re traveling for business, arriving to your destination with a suitcase full of wrinkled clothes can be a hassle. Keep your travels smooth and care free with our favorite tips and tricks to help you save time ironing for wrinkle-free packing. Where should you start when determining how to pack clothes without wrinkles? Choose fabrics that don’t wrinkle easily. 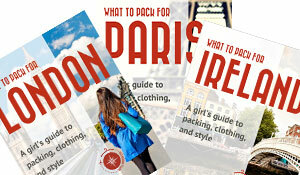 You can find a full guide on the best travel fabrics here. 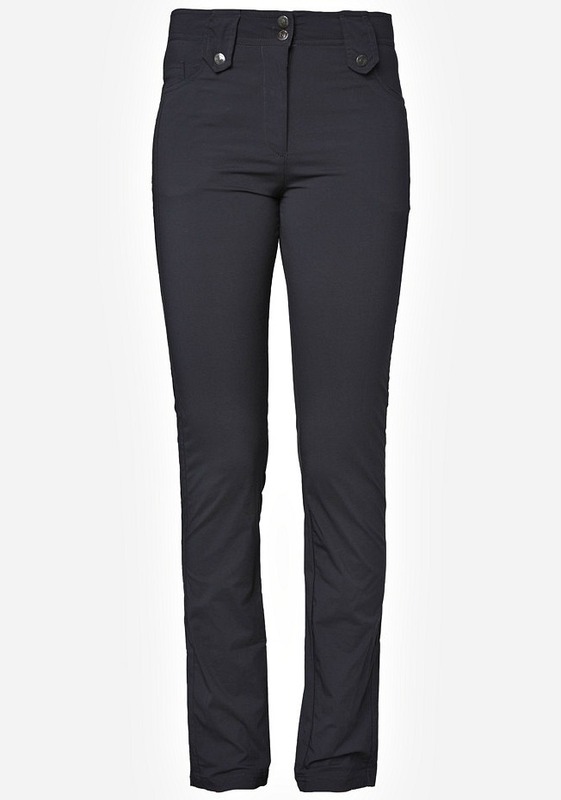 Generally speaking, clothes that have a bit of stretch and knits don’t wrinkle as much. Many of the clothes you already own will probably work well for travel without the need to buy new clothing. Give the fabric a scrunch and do a practice packing run to see how they hold up to wrinkles. One of the biggest benefits of using travel brands is that they tend to use wrinkle-resistant fabrics. The downside is that many of these fabrics can’t be steamed or ironed should if they do get wrinkled. 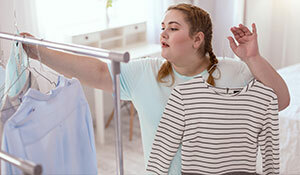 However, by combining your clothing selection with the packing methods listed below, you should be able to master the skill of how to pack clothes without wrinkles. 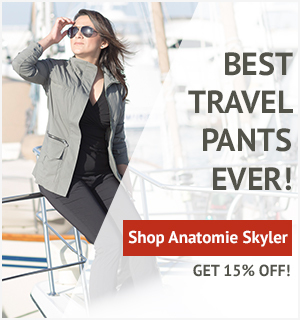 This is a list of the best travel clothing brands! Packing folders are a little known tip for how to pack clothes without wrinkles. 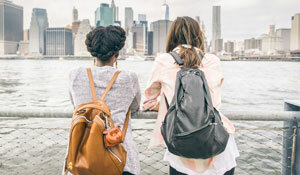 No matter where you’re traveling, a lightweight packing folder will help keep your delicate tops, dresses and pants free from looking like a crumpled mess. They are particularly useful for button-up shirts for business trips. An 18-inch packing folder can fit 8 to 12 garments, helping you fit many of your items in one organizer. 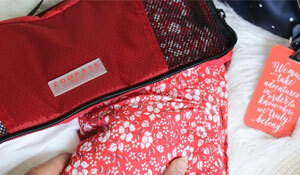 You can use packing cubes for underwear and clothes that don’t wrinkle easily. The briefcase-like design keeps everything concealed and stored neatly. To make sure your clothes are packed tidily, button up all tops and pants and lay them face down on a flat surface to smooth away wrinkles before packing. Packing folders tend to include a folding board and pictures so you know what you’ve packed. Want to know the best packing organizer? Read this! Similar to packing folders, garment bags allow you to pack all your clothing together and then fold once. I used to travel with these for business conferences and trade shows. I’d plan my outfits and hang them together in my closet. All I had to do was grab them all together, place them in the garment bag, zip it up, and fold the bag once it’s in my suitcase. Because you only fold once or twice and keep everything in place securely within the garment bag, you avoid creases and wrinkles. As a bonus, it is super easy to unpack! Since most of the clothing is already on a hanger, it’s was easy to hang up everything in the hotel room. If anything gets wrinkled, it will be easier and less time-consuming to iron or steam. 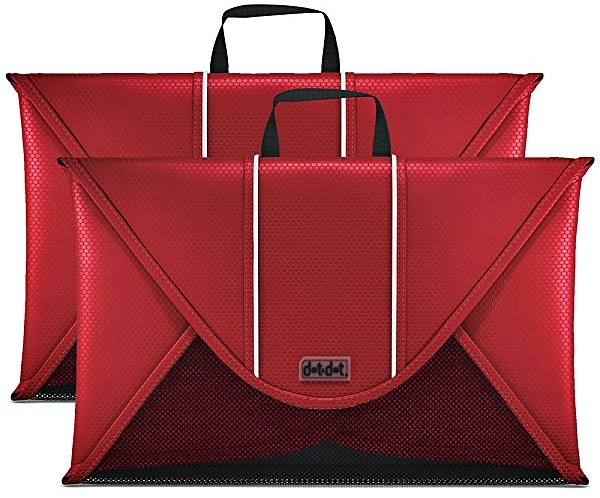 There are suitcases with built-in removable garment bags (like this and this), but they are rare nowadays. However, you can buy them individually. 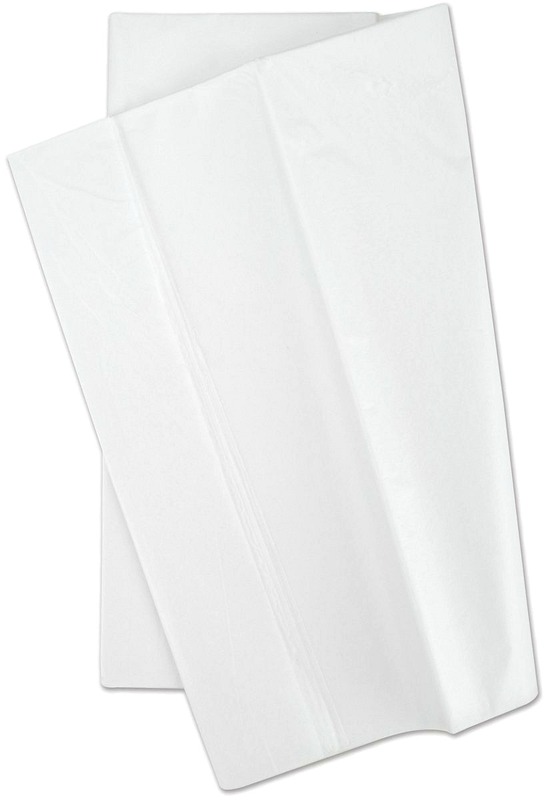 You can also buy self-contained garment bags like these. The downside of garment bags is that I haven’t been able to find a carryon-sized garment bag. The smallest width seems to be 22 inches, which is a bit too long for a carry-on suitcase. So if you’re wondering how to pack clothes without wrinkles in a carryon, you may want to use packing folders instead of garment bags. For problematic clothes, consider paying to have your delicate items pressed at the hotel. Paying for one or two pieces saves you time and stress. 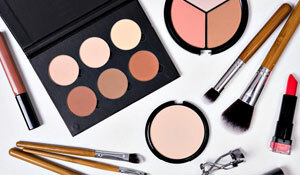 Tip: Pack these delicate items last so other items don’t squish them. Also, double-up clothes on hangers to save space and weight. If you want to unpack quickly but have wrinkle-resistant clothing, use this luggage organizer instead! A flight attendant favorite! The bundle wrap method is another popular tip for how to pack clothes without wrinkles. The concept is the same as the packing folder and garment bags but you place the clothes directly inside a suitcase. This method works particularly work for bulkier items that may take up too much space for packing organizers. The downside is that you have to unpack all your clothes every time so this is not ideal if you’re on a fast paced trip and will only be staying in hotels one or two nights. You can also use a folding board within the clothing to keep everything secure. If you prefer to fold clothing the traditional way, add a piece of tissue paper in between the folds to avoid creases. Take your time folding, and use a hard, smooth surface to smooth out wrinkles as you go. A wrinkle release spray is extremely convenient to carry with you to keep your clothes wrinkle-free when traveling and looking fresh. 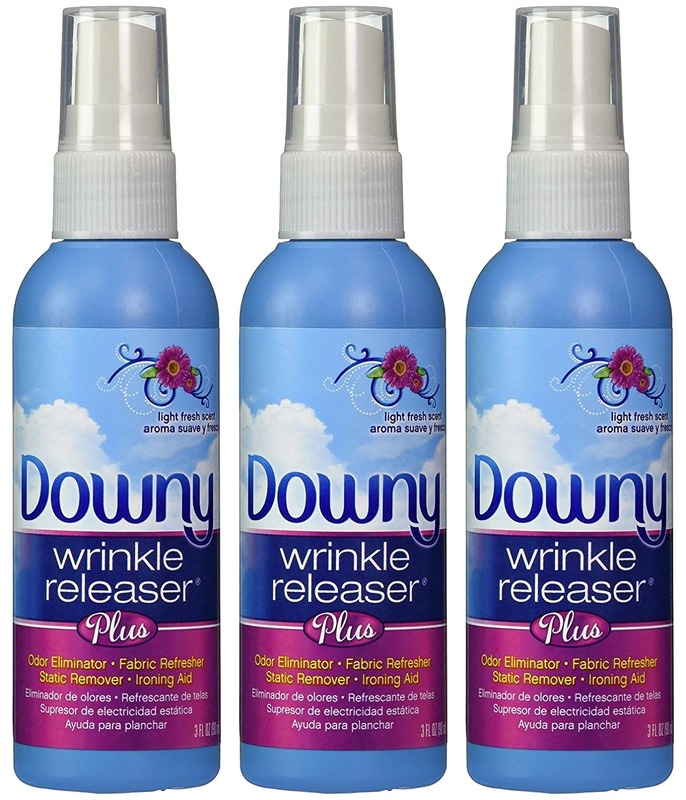 Forget fussing with an iron and instead keep a travel-sized version of Downy’s Wrinkle Releaser in your purse or carry-on luggage for ease of use. 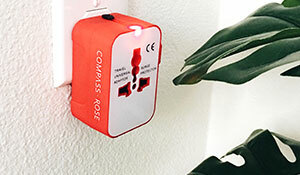 The TSA-approved size not only releases wrinkles but also eliminates odors and prevents static cling. Especially when you’re up in the air, your clothes are bound to get wrinkled and a little smelly. This works wonders if you want to use it right after you get off the plane to make your outfit look freshly pressed. 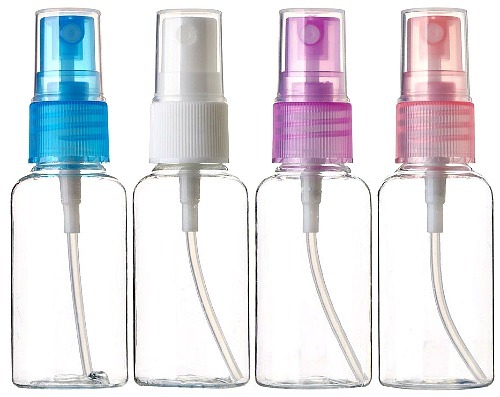 A quick spritz of this spray and you can smell fresh and avoid wrinkled clothing when traveling. One reader suggests you can make your own wrinkle release spray two caps of fabric softener one of white vinegar and fill up small spray bottle with water freshens clothes and releases wrinkles. Another reader recommends spraying it an hour before wearing it and then hang it in the shower so the steam can remove wrinkles. Follow these steps to learn how to make clothes smell fresh! 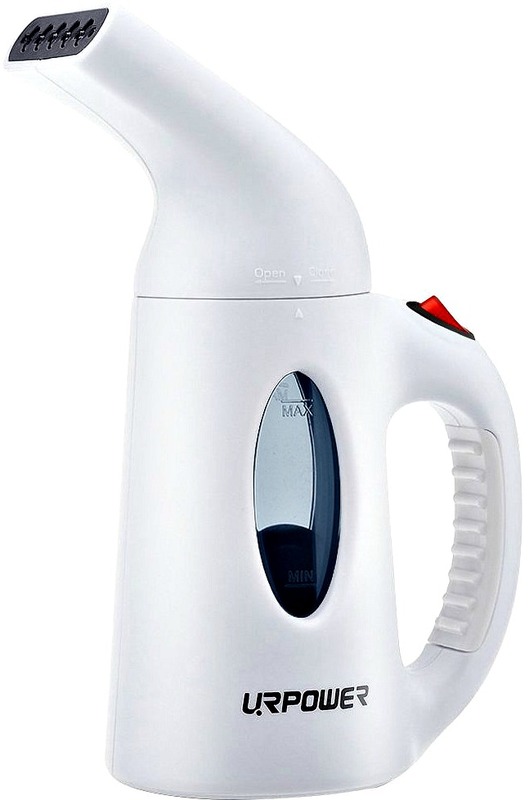 The quickest way to instantly freshen your clothes is with a travel-sized handheld steamer. You can also buy a travel iron/steamer duo. 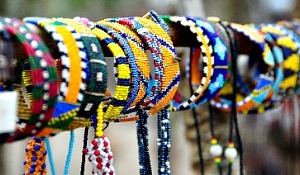 They’re a must if you’re traveling for business, as you can use them on suits, blouses, shirts, or delicate dresses. With steamers, you can use the continuous steam function, which smooths even the toughest of wrinkles in a matter of seconds. Hang up your clothes and steam them without worrying about burning or damaging any of your items. If you’re ever wondering how to avoid wrinkled clothes when traveling, a handheld steamer is a sure bet! You might also be able to hold the hotel’s iron upright and press the steam button to make it work like a clothing steamer. However, the quality of irons varies in hotel rooms so you may not want to depend on this if you want zero wrinkles. Alternatively, a reader suggests to buy a pressing cloth, and carry that with you. If you have any stubborn wrinkles, you can use the pressing cloth between your clothes and the iron to press them out without burning your clothes. A magazine or newspaper rolled into a tube makes a great “sleeve board” if your jacket sleeves wrinkle. 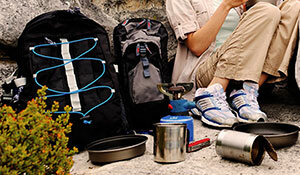 Check out some of our favorite accessories and tech-savvy gadgets for travelers! While this method sounds silly, a hot shower is one of the best solutions for releasing stubborn wrinkles. If you want to quickly steam your clothes without using a steamer, hang them in the bathroom during a hot shower and watch the wrinkles in your clothing fall in just a few minutes. By the time you’re done getting ready after your shower your clothes will be smooth and fresh! Likewise, if traveling to a tropical, humid destination, hang up your clothes once you arrive and the humidity will help “iron” them and loosen wrinkles. One of our readers recommends you bring your own slim hanger and/or clothespins, so you can hang clothes in the bathroom and turn on the hot water to steam them. There’s no guarantee the hotel hangers can be removed from the closet. 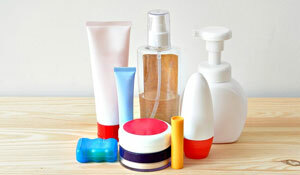 See our recommendations for shower essentials for travelers! Similar to using a wrinkle release spray, this DIY method is perfect for when you’re in a pinch. 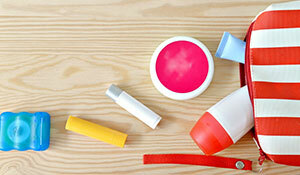 Just use a spray bottle or a damp towel and lay your wrinkled clothes on a flat surface. Take a warm damp towel and press it on top of your outfit. Spritz water on your clothes and hang it before you head to bed. The wrinkles will be long gone by the time you wake up! Tired of packing too many things? Read this helpful guide to stop overpacking! 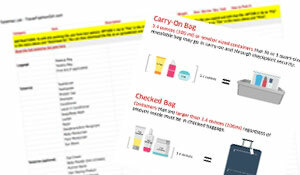 Even if you try to neatly organize your clothes, chances are your bag is going to get tossed around during air travel. 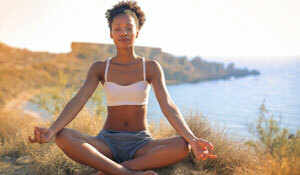 These tips will end wrinkles as easy as possible! What are your best tips on how to pack clothes without wrinkles? Comment below! 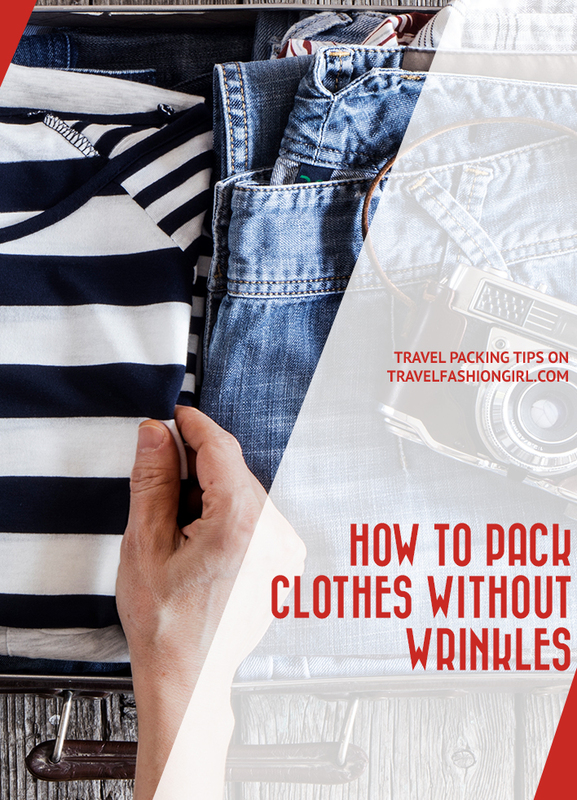 I hope you liked these tips on how to pack clothes without wrinkles. Please share with your friends on Facebook, Twitter and Pinterest. Thanks for reading! When I cruise I take several cocktail dresses. I put the dress in a dry cleaning bag and then roll. It works great. Hi Lisa, thank you for sharing how you like to pack your cocktail dresses when traveling, great travel tip. Happy travels! Great post! 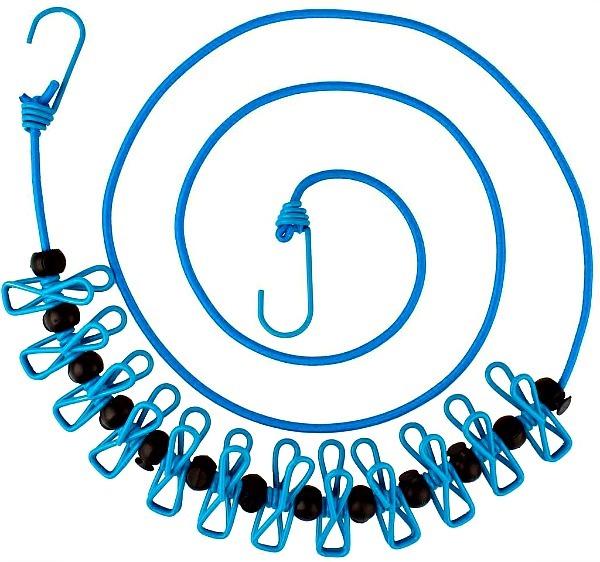 That travel elastic clothesline is genius! I always used to bring string and clothespins with me when I travelled but gave up because it was always so hard to put up the clothesline! I need that! I like the tip to unpack in the shower. The best thing I’ve found is rolling clothes instead of folding them. No creases!